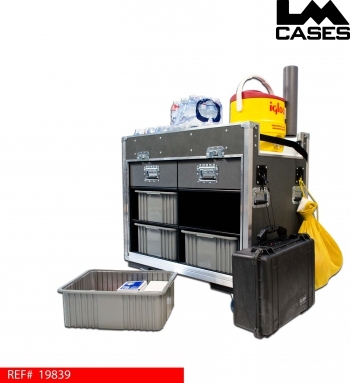 This cart was designed for indoor sports and as an organizational cart for gyms. 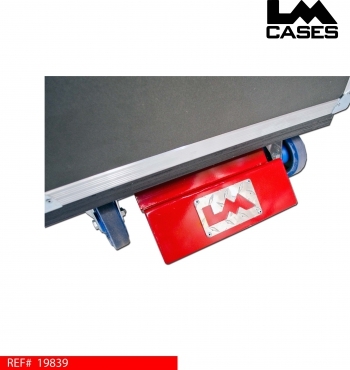 The cart is built to be exceptionally durable and easy to push. To accomplish this, we employed 5″ casters with a central locking brake system. To engage the brakes, simply push down on the red pedal; this simultaneously engages both brakes. The case also features a large 18″ stainless steel push handle for exceptional maneuverability. 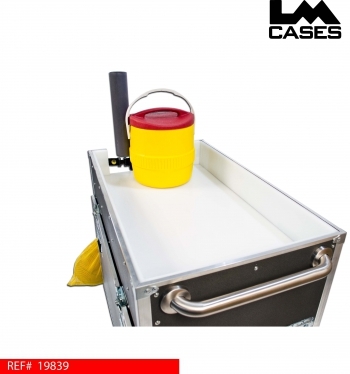 The cart top is lined with 1/2″ UHMW plastic to provide a non stainable durable surface for water coolers and liquids. 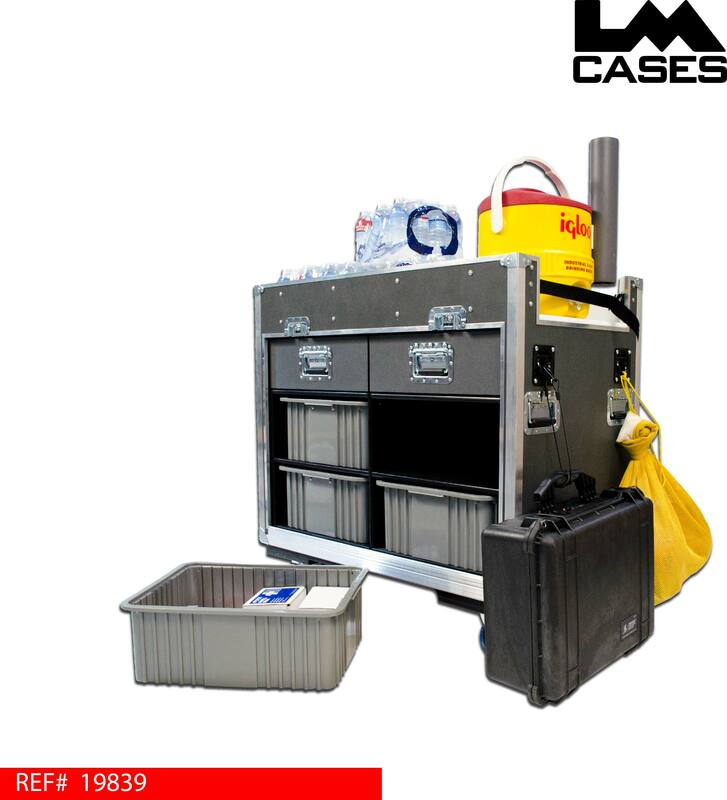 The cart interior features 2 built in drawers mounted on HD Accuride glides and 4 removable plastic tubs. The interior compartment is covered by a removable lid that is stored magnetically to the back of the cart when it is in use. 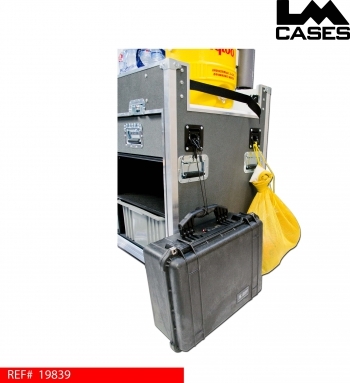 The cart exterior features 4 recessed handles and 2 spring loaded D-Ring shackles. The D-Ring shackles are great for mounting anything from ball bags to additional carry cases, adding another level of functionality. 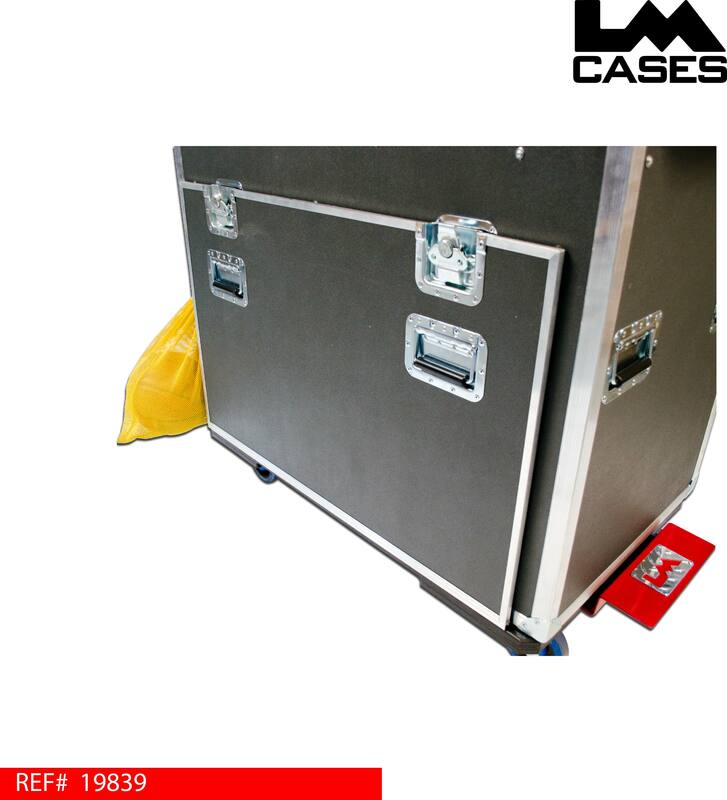 2 coated cables with carabiners are included with the case for use with the D-Ring shackles.